In the United States, the famous "epidemic" of vape definitely does not stop talking. According to a report by Centers for Disease Control and Prevention (CDC), the number of young Americans using the e-cigarette would have increased by one and a half million in 2018, offsetting years of reduced smoking in high schools and colleges. 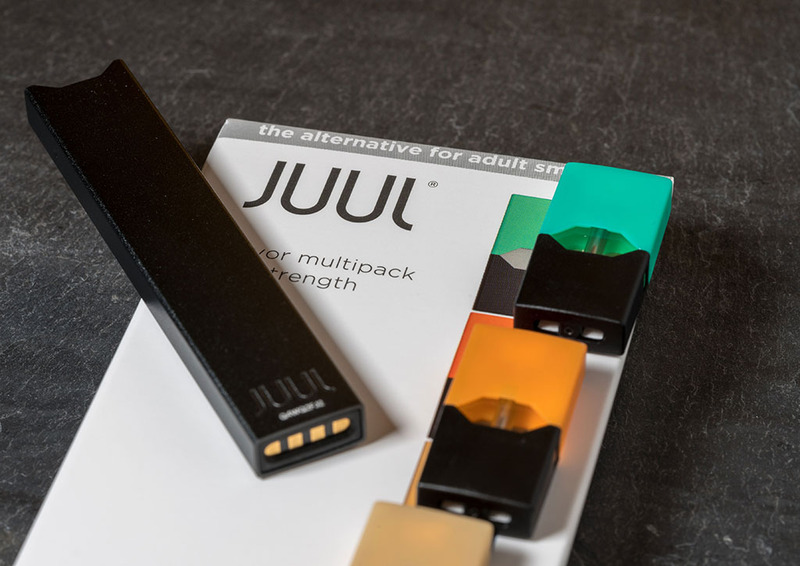 The health authorities point to the Juul brand, which currently dominates the US market. E-CIGARETTE, A THREAT TO REDUCING TOBACCO? 3,6 million high school students and college students vexed 2018 2,1 million the year before (+ 78% among high school students and + 48% among college students), while the use of cigarettes and other tobacco products remained stable, according to a report Centers for Disease Control and Prevention (CDC). In total, 4,9 million young people were vaping, smoking, or consuming a tobacco product in 2018, compared to 3,6 in 2017, according to a definition that includes having consumed one of these products in the month preceding the questionnaire completed by the students. All this increase is attributed to the electronic cigarette. More than one in four high school students (27%) smoke, vapote or consume a tobacco product (cigar, pipe, shisha, snuff ...). « The skyrocketing use of e-cigarettes by young people last year threatens to erase the gains made in reducing youth smoking. ", Was alarmed the director of the CDC, Robert Redfield. " A new generation risks developing a nicotine addiction"He warned. The authorities are attacking the leader of the American market, Juulpointed out in the report and accused of laxity with young people. The start-up is valued at 38 billion since the investment of 13 billion dollars from Altria, the maker of Marlboro, in December. « All options are on the table in terms of policy" , has warned Mitch Zeller, director of tobacco products at the FDA, the federal agency that regulates e-cigarettes since 2016 and has already announced proposals for restrictions in November, especially against scented refills.